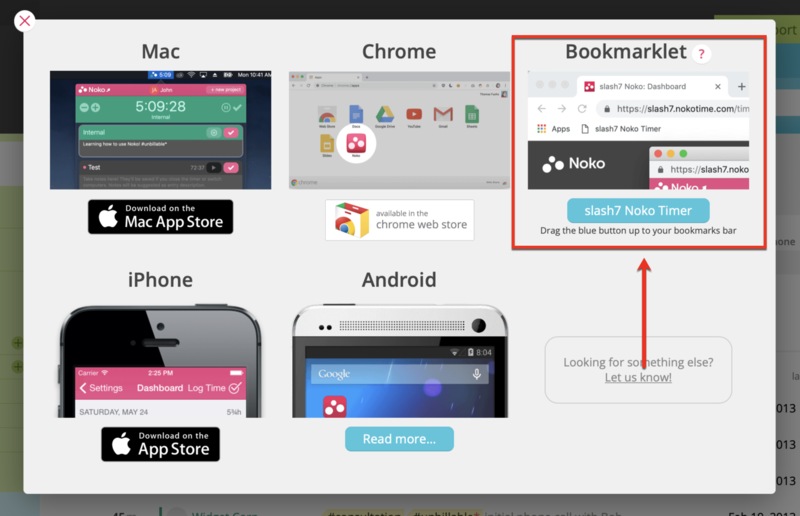 You can use Noko’s bookmarklet feature with Safari, Chrome, Firefox or Internet Explorer or Microsoft Edge. 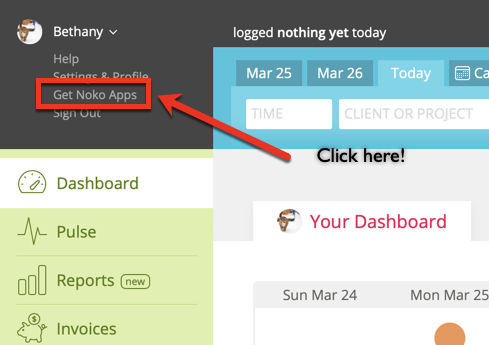 Go to Get Noko Apps in the your Profile & Settings menu (that's the little pop-up menu that appears when you mouse over your Noko avatar). Then drag the blue button up into your bookmarks bar! Depending on your browser, the bookmarks bar might be called "favorites bar" or "bookmark toolbar",.